The book opens with a section on student engagement. This section has five chapters. Chapter 2, Engaging Students Through Practice, by Brook et al., is an introductory chapter to the section itself. Here, authors argue for the value of engaging students through various innovative practices. It is a preamble to the book, a philosophical statement, and a wider call for student engagement. Chapter 3, Teaching Business Communication through Collaborative Project-Based Learning, written by Pather, takes us to Johannesburg in South Africa. This chapter addresses innovations in teaching and learning by revealing the efficacy of the oral presentation in addressing most of the difficulties which black African students encounter as a result of their lack of fluency in English, such as mastering written and academic English and speaking in front of large audiences. The innovation offers a practical strategy to assist students who have learnt English as a second or third language. It is user-friendly and can be used by virtually all higher education institutions. The most important lesson of the chapter is that students enjoy the collaborative problem-based approach to teaching and learning and that the outcomes are measurable. The strategy is particularly useful for those instructors who teach large groups of students. Chapter 4, Employer Engagement: Accounting Standards in Action, by Johal, brings us to Birmingham in England. This chapter addresses innovations in teaching and learning by introducing an employer-led intervention in order to encourage accounting students to engage better with the module content through practical application. The employer is an integral part of this innovative practice and creates a strong link between the module content and how it is relevant to the workings of a live organisation. The innovation is designed to enable students to further develop their knowledge and skills, be creative and discursive, apply and challenge, and to practice deep rather than just surface learning. The chapter inspires readers because it addresses the relevance of accounting knowledge that is sometimes considered by students as knowledge that they do not perceive as useful after their university experience. In doing so, it describes a practice that connects the classroom to the workplace through employer engagement. The most important lesson in the chapter is the recognition that even the most tedious (for some) aspects of accounting can be brought to life by linking them to how they perform in the workplace. This in turn enhances student engagement and develops a curious interest that translates into a better student experience. Chapter 5, Practice Framework Enhancement for Supervising Research Students, by Brook and Eley, also brings us to Birmingham in England. The innovation here is incremental in that it is based on selected existing frameworks and develops them into a new, integrated approach. It aims to better reflect a collegial yet structured approach to research supervision. This chapter provides a bridge between existing frameworks that provide some familiarity and the innovation of an integrated development of them. The basis of it is well established and grounded, whereas the integrated approach offers something new aimed at better understanding and progress between candidate and supervisor. The most important lesson from this chapter is to stress the need to be flexible at the same time as following a structured framework or approach. In doing so, it moves established approaches forward into a more collegiate and yet still guided approach. Chapter 6, The Art of Seduction: Designing Innovative Curriculum that Engages and Retains Reluctant Bachelor of Arts Students, by James and Midford, takes us to Melbourne, Australia. This chapter addresses innovations in teaching and learning through the development of a first-year core programme that improves student success and engagement in the first year of their Bachelor of Arts. The innovations work together to convince students of the value of an arts degree. The student experience is improved through the scaffolded development of academic skills embedded in engaging subject content in an innovative module format. The small classroom environment facilitates cohort-building and fosters a connection between students and their lecturers. Through collaborative learning and mentorship, pass rates are improved and students are encouraged to progress to the second year of that particular degree through better engagement. The chapter inspires readers because it shows that even students who are disengaged, unprepared, or reluctant about their course can be motivated to continue through innovative approaches to teaching and curriculum design. The coordinated approach to student success and engagement convinces students that it is worthwhile getting an arts degree and that there are jobs for arts graduates at the end of their degrees. The innovation could be employed in any subject discipline in any degree. By preparing students adequately, they can more deeply engage in subject content and focus on achieving better results. This leads to greater student confidence, which then leads to better student success and retention. The most important lesson from this chapter is that building student confidence, creating a cohort experience, and providing engaging and active learning exercises in the first year of an arts degree is just as important as delivering subject content. In an era when there is increasing emphasis on employability, arts degrees have a stigma attached to them, and students need to be convinced of the value of their degree early if we are to retain them. The more curriculum focuses on maximising student engagement, the more confident students feel and the better they perform. This gain in student achievement and performance leads to better student retention. Chapter 7, Student-Centred E-Learning, written by McGuire et al., is the introductory chapter to section 2. Each of the chapters in this section addresses student-centred learning with digital solutions, using e-learning tools, to ensure the purposeful use of technology, as opposed to innovation for innovation’s sake. The projects discussed in these chapters emanate from contexts that are geographically, culturally, and educationally diverse: Australia, Hong Kong, and Scotland. They also deal with students at both undergraduate and postgraduate levels. The approaches introduced can be utilised across the academic spectrum. Chapter 8, Revitalising the Past: Crafting a Digital Engagement Model to Innovate Humanities Curriculum, written by Midford and Evans, brings us again to Melbourne, Australia. This chapter addresses innovations in teaching and learning by finding an innovative way to make use of resources which are familiar and accessible to students. Students are frequently interested in historical narratives in popular culture, and they find the Internet an easy first port of call for research; they also respond better to the flexibility of material that can be accessed digitally (podcasts, vodcasts, etc.). The innovation described in the chapter makes use of this existing interest and helps students to question these resources, thus learning good historical practice. It also shows them how to create their own resources and to engage with societal perceptions of their subject by using popular culture and social media as resources. It does so by outlining a theoretical teaching model, based in scholarship of teaching and learning, that facilitates the development of digital literacies and better understanding of the past. It shows them a (potentially simple) method of engaging students in complex historical scenarios. It is easily replicable for completely different historical periods and other disciplines too, and it involves watching films in which Russell Crowe gets to fight to the death. The chapter outlines tested methods that allow students to customise their curriculum and learn academic material from a position of familiarity and interest. This results in a more comprehensive understanding of the subject matter and how popular entertainment is crafted using historical sources. The most important lesson from the chapter is that digital sources and resources that might seem attractive, but not always appropriate, for students, can actually be exploited to give students a better sense of how they approach the past as 21st century researchers. Student-led learning results in enthusiastic student participation and better success rates and the digital engagement model can be broadly applied across disciplines and subject areas to achieve similar results. Chapter 9, MOOC→SPOC via F2F: It’s a Flipped Hybrid, SPOC!, by McGuire, takes us to Glasgow, Scotland. This chapter looks at a number of different innovations in one package: How is a MOOC converted to a SPOC? What are the differences? What is Flipping? What is hybrid learning? And how does all of this fit together? The chapter inspires readers for a number of reasons. It takes as its subject two of the most recent and innovative methodological designs. It shows others how to take the most useful lessons that we have learnt from MOOCs and how to convert them for use in a SPOC. It combines a number of current innovations in the final design, including hybridised learning and flipping, in addition to the innovations already mentioned. The most important lesson to learn from the chapter is that supporting the student is key to curriculum design. The needs of the student must come first as opposed to simply advancing a new innovation for its own sake. Chapter 10, Whiteboard Animation: An Innovative Teaching and Learning Tool for Flipped Classrooms, by Li et al. takes us to Hong Kong. In their chapter, they address innovations in teaching and learning by using tailor-made storytelling whiteboard animations for the flipped classrooms. Instead of recorded lecture videos for flipped classrooms, whiteboard animations are engaging short video clips to introduce prerequisite knowledge and to clarify concepts in a fun and enjoyable way. The authors believe that their chapter inspires readers because it introduces the use of engaging whiteboard animations for teaching and learning in higher education. It describes the details of how to design and produce tailor-made whiteboard animations according to the needs of the course. Readers can easily follow the chapter to produce the whiteboard animations and use them to facilitate discussion in tutorial classes. In general, whiteboard animation can be applied to nearly any subject in a more engaging fashion. The most important lesson in the chapter is to produce teaching materials to facilitate teaching and also help students in learning to use attractive methods. 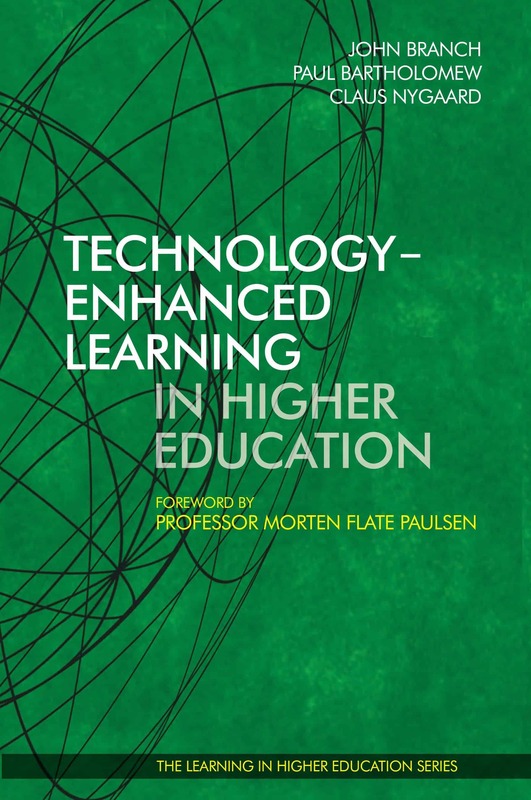 Chapter 11, Technology for Learning: Something Old, Something Borrowed, and Something New, by Klopper et al., introduces the third section of the book. In their chapter, they position technology for learning in the extant literature; and they borrow from the task-technology fit theory as an organiser for four new applications of technology: 1) a learning management system for professional education; 2) digital learning activities for student engagement; 3) the Web 2.0 platform for English as a second language; and 4) virtual reality integration into the classroom in higher education. This sample of applications makes a useful contribution to the advancement of technology for learning in higher education by illustrating the need for ‘fit-for-purposeness’ and showing some of the key roles that technology can play to support learning and teaching. Chapter 12, A New Tool for Improving Learning in Professional Education Programmes, by Gillett and Hamori-Ota, takes us to Ann Arbor, USA. Their chapter addresses innovations in teaching and learning by introducing a new online tool that focuses on the learner’s journey through a professional education programme, starting before the face-to-face training, continuing through it, and extending beyond it. They wrote this chapter because they wanted to share how they were able to improve the delivery of professional education programmes. The authors realised that learners would benefit from having one central location (an online home) for all course materials (e.g., presentations, readings, bios) that would also be a place for them to share thoughts and resources with each other. At the same time, instructors would benefit from being able to see this information and communicate with participants. They argue that creating such a learning community improves student and instructor engagement, making it more likely that students will reflect, share learnings, and apply what they learn back on the job. Chapter 13, Socrative: A ‘Smart Clicker’ for Teaching and Assessing Engineering Students, by Salama, brings us once again to Birmingham, England. She wrote this chapter to show how she has successfully added a technological component to her course. Previously, she had taught in a traditional manner through lecturing, and had noticed that students were disengaged. She brought in an element of technology, which is what Millennials are practically born with, and at the same time made it interactive to keep them on their toes. After her trial with Socrative, she noticed how students would come to class showing more enthusiasm and also saw how their grades improved. The chapter might inspire others because the technology described is free; it can be used with any type of device whether it is a smart phone, iPad, or laptop; and lastly, it is very easy to set up and use without spending too much time beforehand on learning how to use it. Chapter 14, The Influence of Web 2.0 on Language Learning Motivation to Foster Learner Autonomy: A Vietnamese Case Study, written by van Rensburg and Van Han, takes us to Ho Chi Minh City in Vietnam. The authors report on the evaluation and assessment of the influences of a Web 2.0 learning management system in an EFL (English as a foreign language) course. Through this innovative technology, the EFL students have acquired numerous opportunities for the expression of ideas, advancing their involvement in the learning activities, as well as affirming their confidence in virtual interaction. Such advantages connect to the elements of a learning environment that motivates the learners to learn English, leading to the advancement of learner autonomy. As such, this chapter reports on the evaluation and assessment of the influences of this Web 2.0 learning management system. Referencing both intrinsic and extrinsic motivation, the qualitative data collected from interviews comprising eight undergraduate learners in a tertiary college was assessed to determine the possible impacts of the LMS on the learners. Chapter 15, Virtual Reality in the Classroom and the Mandate to Bring Edutainment to Adult Learners, by Klopper and Burt, brings us to Queensland, Australia. This chapter addresses innovations in teaching and learning through the explicit narration of the use of digital technologies into a programme of study in higher education. The authors wrote this chapter in response to a teaching challenge of delivering a traditionally face-to-face teaching course as an online delivery. They designed a virtual reality learning experience to provide initial teacher education students the opportunity to participate in the observation of water management in a local environment through a custom-made ‘hands-on’ virtual reality field excursion. They believe their chapter will inspire readers because it narrates first-hand experience, provides guidance to produce an educational virtual reality learning experience, and shares their insight into the application of a virtual reality learning experience in initial teacher education. The most important lesson in their chapter is that students who are active agents in the construction and acquisition of their knowledge will achieve greater learning outcomes and realise the relevance and impact to their own lives. Chapter 16, Stimulating Critical Thinking through Simulation, written by Louw et al., is an introductory piece to the fourth section of the book, showcasing innovative teaching and learning through the use of simulations. In their chapter, they discuss the benefits of using simulations to enhance student learning. As well as passing on factual knowledge, higher education needs to prepare students to fulfil all sorts of active professional roles. In addition to a thoroughly developed repertoire of specific skills, such real-life roles frequently demand further abilities—to engage effectively alongside others in existing practices whilst thinking critically about them, to make quick decisions under pressure, and to build collective learning from shared experiences. The authors argue that such higher-order cognitive abilities cannot be effectively developed in lectures and tutorials, but require hands-on experience. Chapter 17, High-Fidelity Simulation-Based Training in Radiography, by Louw, brings us again to Johannesburg, South Africa. 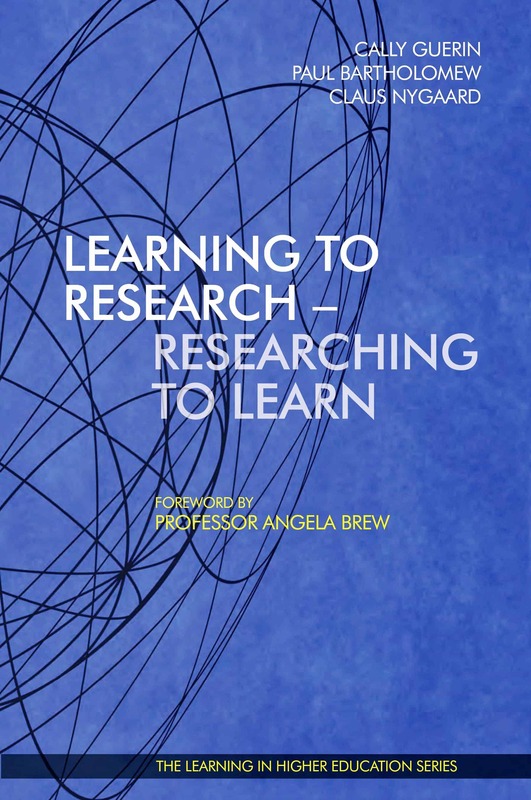 In her chapter, the author addresses innovations in teaching and learning by giving a description of how the author applied the principles of layering and scaffolding of learning material to enable easy retrieval of basic knowledge from students’ long-term memory to facilitate problem solving in stress-laden scenarios. A problem was designed to activate students’ higher cognitive critical thinking, multi-level communication, and teamwork skills. The case scenario was built on well-known basic skills and was complicated by the introduction of various elements to increase the cognitive load of students and force them to function on a new, not-yet-comfortable professional level. She wrote the chapter because she believes that the innovative strategy she shares here with colleagues will make for new and exciting approaches to teaching and learning in a variety of educational domains. The author believes her chapter inspires readers because, even though it involves ample planning and preparation, the simulation-based training strategy described was received very well by the students and achieved not only the targeted learning outcomes but also some unexpected positive outcomes. The most important lesson in the chapter is that educators ought not to hold back on the basic information which they give their students, and that when they do so in a structured manner, students are surprisingly effective in coming to insights and understandings that will shape their future performance, skills, and attitudes in a positive and advanced manner. Chapter 18, A Political Solution to Stimulate Creative Group Work in a Large Class, by Dawson, takes us to Lugano, Switzerland. In his chapter, the author illustrates a mechanism for providing a structure within which university students are stimulated to produce creative work together whilst reinforcing their language skills. 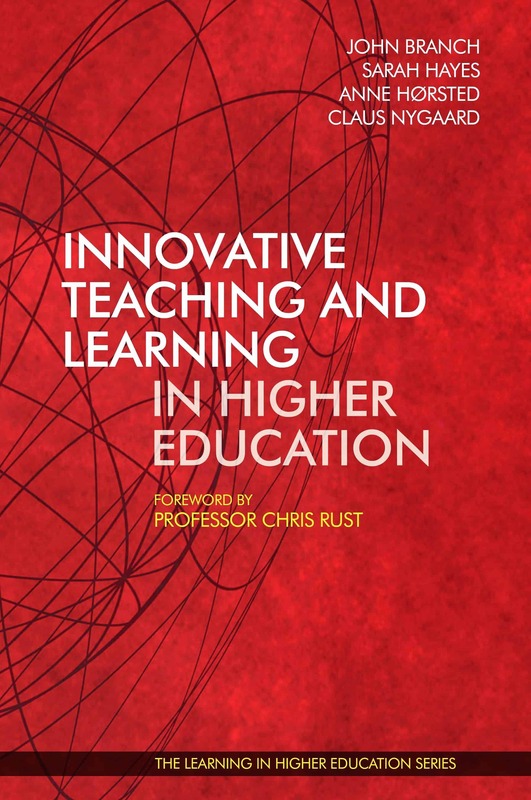 The underlying motivation for writing the chapter is his belief that university teaching in general needs to become increasingly learner-centred. 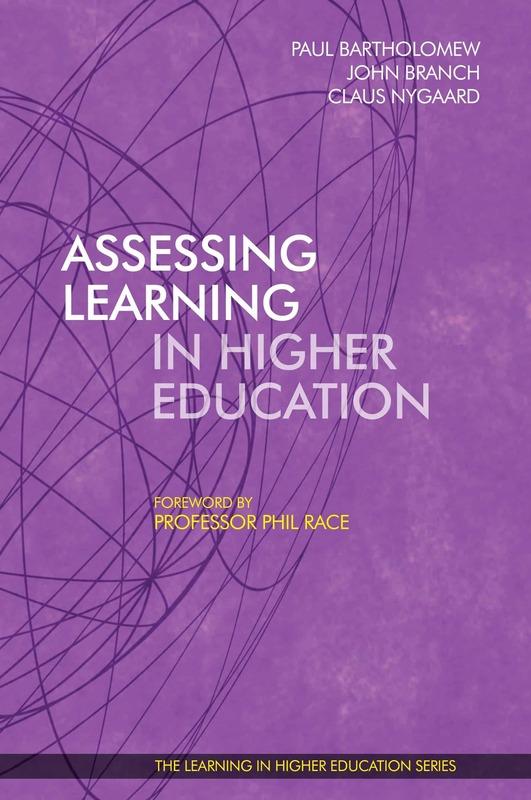 It is clearly in the process of doing that, the author argues, but it is often difficult to make it happen quickly enough for universities to be able to continue to offer much better learning opportunities than students can find easily enough without a university course. The author believes his chapter inspires readers because they will be able to get an impression of the range of learning experiences students can create together for themselves when given the chance to do so and of the kind of structure that can potentially allow them that opportunity. Chapter 19, Court-Proofing Professional Records – An Innovative Simulation Teaching Resource, by Andrews and St. Aubyn, brings us again to Birmingham, England. This chapter addresses innovations in teaching and learning by providing a safe learning environment to explore as realistically as possible the experience of being questioned in a legal arena. The principles learned are applied directly in an engaging and innovative way. The authors are on a campaign to improve record-keeping skills in the field of nursing. Record-keeping can, they explain, be difficult to teach and engage students in, and can be viewed as a dry topic. They have developed a simulation approach as an appropriate way of engaging students and developing a lasting understanding of the underpinning principles. The authors believe their chapter inspires readers because it discusses a low-fidelity simulation teaching resource that is easily transferable to different disciplines within higher education. The method engages students and facilitators by being memorable but ‘scary’ in a safe way. The most important lesson in their chapter is that record-keeping is an essential element of nursing practice and many people are removed from the professional register because their records are of a poor standard. Teaching record-keeping in an engaging and memorable way ensures that students remember this important lesson before they find themselves in the witness box defending their livelihood. Chapter 20, Changing Frames of Reference though Effective Transformation, by Cermak-Sassenrath et al., introduces the fifth section of the book. In their introductory piece, they argue for the use of innovative teaching and learning practices that lead to transformational learning for students—a process of change that transforms their frame of reference. Students who have the ability to change their assumptions about the world benefit from more reliable and critical beliefs, they argue. They see the globalisation of education and the adoption of a holistic approach to teaching and learning as a recent driver for the introduction of a transformative model. It is their argument that to remain responsive to future challenges, students must be able to synthesise the proliferation of information available through new technologies and objectively evaluate the credibility and reliability of the information. The interaction of focus, synthesis, and creativity can lead to new innovations and knowledge. As they show in this section of the book, there are various ways to achieve effective transformation of student learning and subsequent assumptions, beliefs, attitudes, and values. Chapter 21, Creative Reflection: Thoughts from Two Vocational Programmes, by Jack and Lewis, takes us to Manchester in England and Cardiff in Wales. 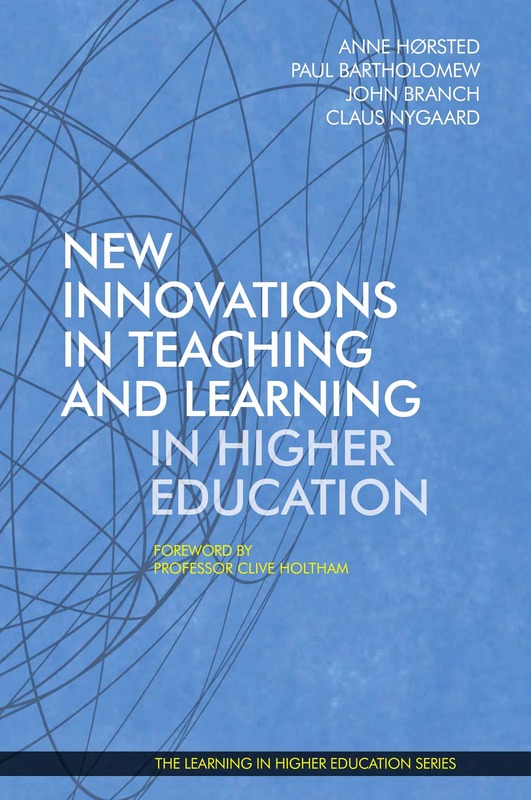 The authors present two cases of innovative teaching and learning in higher education. In their chapter, they address innovation by discussing a creative way to support students to reflect on their practice experiences. Rather than writing traditional reflective pieces, students have the freedom to create pieces of art or creative writing. The motivation for writing this chapter was that the authors both found that students did not engage fully in the experiential learning process when tied to a traditional essay format of reflection. They wanted to investigate alternative forms of expression to support deeper and more meaningful levels of learning. The chapter inspires readers by providing real-world examples of students’ creative work and offers practical guidance on the implementation of the approach and other alternatives for consideration. The most important lesson is that if students are given freedom to reflect in creative ways, they will come back with more meaningful and insightful work than if they are restricted to the traditional format. The work created through these methods serves as a gentle reminder of the real-world anxieties faced by students on a daily basis, which this is important for educators to remember. Chapter 22, Course-Based Undergraduate Research for Student Success and Equity, by Hensel, brings us to Laguna Woods, California, USA. From there, Hensel—the president of The New American Colleges and Universities—has written a chapter reflecting on the expansion of undergraduate research to American students by including research in first- and second-year courses. Undergraduate research, she argues, is a powerful pedagogy that supports student success and career preparation by developing critical thinking and problem-solving skills, comfort with ambiguity, persistence, and self-confidence. Typically, undergraduate research experiences have been limited to a few students in their junior or senior year. Low-income and first-generation students are not always able to access research experiences that are not embedded into the curriculum, since they may not have the time or financial resources for summer or out-of-class research experiences. 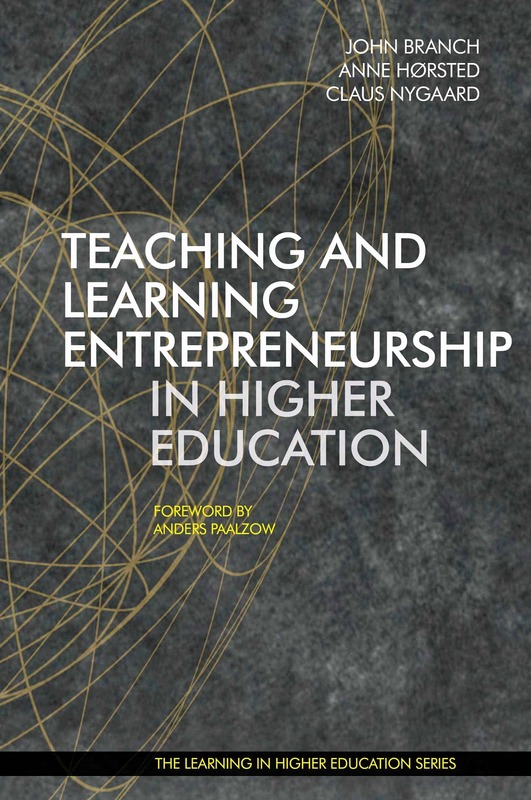 The chapter addresses innovations in teaching and learning by embedding undergraduate research into the curriculum for first- and second-year students. Course-based research introduces students to the research methodology of the discipline. Course-based research stimulates curiosity and questioning that can lead to deeper engagement in learning. The author believes that her chapter inspires readers because it addresses the issue of pedagogical equity by providing all students opportunities to engage in research. First-generation and low-income students may not initially understand the value of engaging in research or see themselves as researchers or scholars. Course-based research introduces students to the excitement of research and discovery. The most important lesson in the chapter is the concept of adapting pedagogy, in this case the pedagogy of undergraduate research, to the needs of low-income and first-generation students and thereby making the education experience more inclusive and equitable. Chapter 23, From Material Construction to Cognitive Construction—On the Roles of the Artefact in the Learning Process, by Cermak-Sassenrath, takes us to Copenhagen, Denmark. The author investigates the connection between material construction and cognitive construction from a dialectical constructivist position. He starts the chapter with the hypothesis that physical making and conceptual thinking can happen together, inspire each other, and build on each other. In the chapter, the author defines material construction as the creation of all kinds of artefacts, from software applications such as games to websites, films, electronic gadgets, and woodworking. The innovation presented in the chapter is the BreakIT workshop series at the IT University of Copenhagen. BreakIT is a hands-on, practical workshop series about electronics, mechanics, interfaces, and dangerous things. Workshops are offered monthly during the (taught) semester, for a total of six to eight workshops per year. A different practical project is built in each workshop. The projects differ considerably in their difficulty, scope, and materials; participants may explore, search, assemble, model, experiment, take apart, shape, manufacture, test, discuss, perform, and play. But each project has to involve an artefact that can be built or made or fixed, and which people want to have. The workshop series is extracurricular and not (in the author’s estimate) conceived of by the facilitators or perceived by the participants as an educational event. In the chapter, the author makes specific observations of students’ material and cognitive constructions, and documents those with photos taken during six seasons of BreakIT, from March 2014 to December 2016. The method of data collection is participatory observation by the author in the roles of workshop host, facilitator, and participant. Chapter 24, Collaboration as a Vehicle to Curriculum Innovation, by Bendriss et al., introduces the final section of the book. In their introduction, they provide a brief discussion of curriculum alignment between secondary education and university study. They also describe the results of a collaborative partnership between faculty and librarians in integrating information literacy into a writing course. Furthermore, the concept of creating an active learning community through a “horizontal communication approach” is presented and, finally, the authors introduce a framework that enables collaborative and collegial evaluation of curriculum for quality as well as research into its impact and effectiveness for student learning. Chapter 25, Curriculum Alignment: Opportunities for Cross-Sector Collaborations, by Nzekwe-Excel and Ladwa, takes us to Birmingham, England. 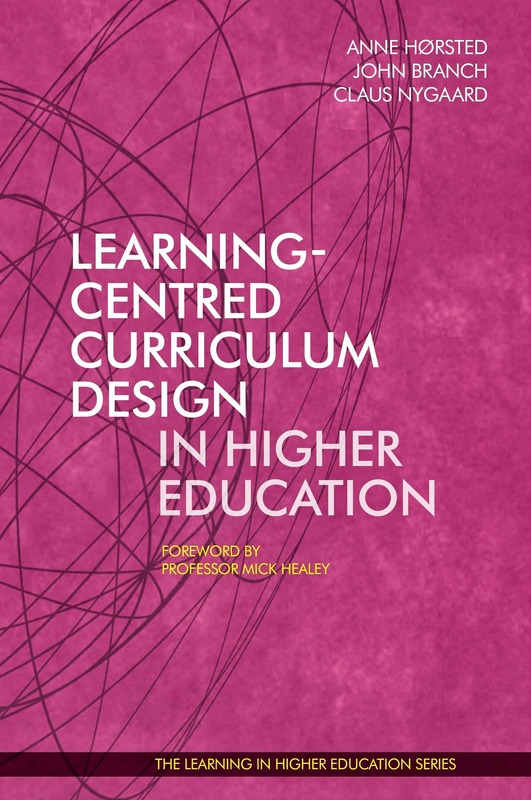 This chapter addresses innovations in teaching and learning by extending the idea of curriculum alignment across modules and programmes to include sector alignment as the big picture and an individual’s education in its entirety. They wrote this chapter because they wanted to investigate how students and academics felt about students transitioning into higher education studies. The authors believe their chapter inspires readers because it is student-focused and gives academics the opportunity to collaborate with colleagues across sectors in an exciting way in order to reduce transition anxiety within the transitioning student population and the issues that this can raise. The most important lesson in this chapter, they argue, is quite simple. At its core, it is about raising awareness and communicating issues to achieve ‘joined-up thinking’ for a student’s education in its entirety. Chapter 26, The Flipped Classroom: Strategies for Building Students’ Information Fluency in the ESL Curriculum, by Bendriss and Saliba, takes us to Doha, Qatar. This chapter addresses innovations in teaching and learning by introducing the flipped classroom model as a pedagogical tool to facilitate students’ self-directed learning. This chapter also addresses the results of a successful collaborative relationship between faculty and librarians to co-design an outcome-based writing curriculum and integrate information fluency strategies. The authors wrote this chapter because they noticed that students lacked basic research skills when they joined their medical college. Therefore, they decided to embed information literacy strategies in the ESL curriculum throughout the entire academic year to develop students’ information fluency competencies. They believe their chapter inspires readers because it provides them with tangible tools to replicate in their classroom. It suggests an effective model of practice for a productive collaboration applicable across multiple disciplines. The most important lesson in the chapter is the positive outcomes of embedding information fluency strategies in a defined course context to equip students with the research skills necessary for academic and career readiness. Chapter 27, Student Engagement, Metacognition, and Self-Regulated Learning in Higher Education: Implementing Interactive Learning Logs as a Formative Assessment Technique, by Lloyd, takes us to Tennessee, USA. This chapter addresses innovations in teaching and learning by engaging higher education students in an interactive practice during class. The activities provide an opportunity for faculty and students to engage in rich dialogue as students reflect on course content, professional competencies, and occasional misunderstandings. The author wrote this chapter because it highlights an innovative practice, interactive learning logs (ILLs), which can be implemented across disciplines as a formative assessment technique. ILLs are a collection of written, in-class activities housed in a notebook and are designed to actively engage students. As a professor of undergraduate methods courses in teacher education, the author noticed the need for impromptu activities to complement larger course assignments, as well as to scaffold the learning process in the higher education setting. The author believes her chapter inspires readers because of the importance of student engagement within the context of higher education. ILLs emphasise self-regulated learning, as students reflect on personal and professional experiences related to course content. ILLs may also be used to alleviate students’ misunderstandings or misconceptions. The most important lesson in the chapter is the simplicity of ILLs, their broad application across disciplines, and their ability to enhance students’ cognitive processes. In addition, ILLs promote students’ use of metacognitive strategies and self-regulated learning as they build on prior knowledge and apply new learnings. Chapter 28, Embedding Evaluation and Scholarship into Curriculum and Teaching: The Curriculum Evaluation Research Framework, by Kelder and Carr, brings us to Hobar, Tasmania. 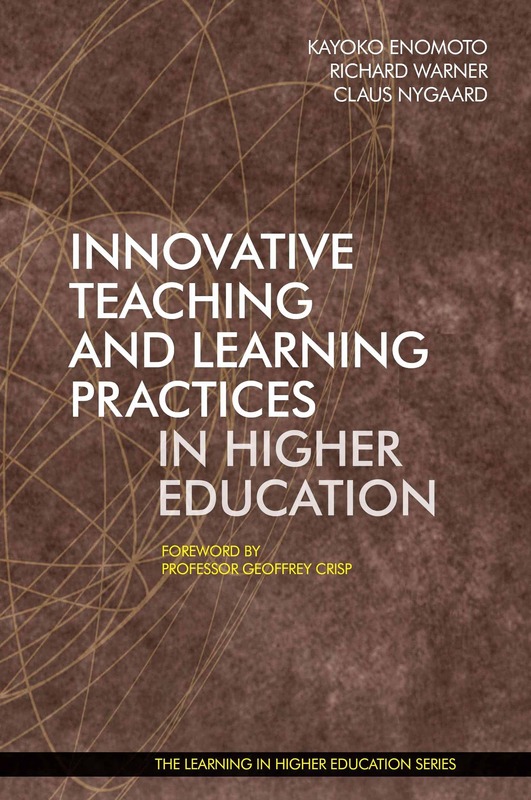 This chapter addresses innovations in teaching and learning by presenting a solution to a pressing problem for academics in higher education: how to meet a range of expectations for quality improvement, quality assurance, and scholarship of teaching and learning while also delivering educational curriculum to students that meets their expectations. The authors have developed a curriculum evaluation research (CER) framework that guides a way of thinking and provides a method for developing a teaching-team practice that is underpinned by commitment to routine evaluation for quality improvement and quality assurance, as well as scholarship for innovation and contribution to higher education knowledge. The authors wrote this chapter because they believe that teachers are key to the quality of students’ learning experiences and the ability to ensure learning outcomes. In particular, they think that quality outcomes and experiences are directly related to how teachers approach designing and strengthening their curriculum and their ability to build and use an evidence-base for their decision-making. They also believe that the most efficient and effective context for building such capability is the teaching team. The most important lesson in their chapter is that teaching teams can use the CER framework to collaboratively plan the evaluation of their curriculum as well as publish the innovations they implement. The authors believe their chapter inspires readers because a key feature of the CER framework is that it solves a pressing problem through a collegial approach of sharing academic workload by using a distributed leadership model and providing a method for activity directed towards the quality of their work.